Engineers, managers, policymakers and those involved in planning and delivering energy resources will find this reference a valuable guide that will help them establish a reliable power supply as they also account for both social and economic objectives. Power generation planners, electrical engineers, students and lecturers of Electrical Engineering and Energy, researchers, academics and the technical community involved in the development and implementation of power generation technologies, and power related engineering disciplines. A good and comprehensive overview of gas turbine technology, which can be good for non-specialists as a starting point. Gives basics of the engineering topics, historical overview and key features related to environmental impact. Might lack details on the gas turbine technology status of development, types and differences of modern heavy duty and smaller turbines, plant configurations, and detailed economics and project development. 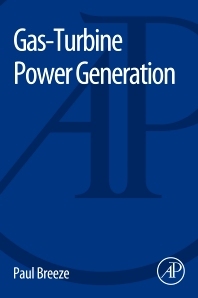 Yet, can be a good reading for those interested in gas turbine power generation development.